Simply a great race! The 21st running of the Hartford Marathon starts and finishes in Bushnell Park. The first 6 miles travels on paved paths in Hartford’s riverfront trail system. Mile 7 – 25 crosses the CT River into East Hartford and South Windsor. Rural farmland and historic New England homes line the flat country roads during this stretch. 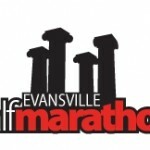 The course returns to the city at mile 25 and heads directly to the finish at the magnificent Memorial Arch at Bushnell Park. The entire route offers picturesque scenery and bright autumn foliage. The Marathon is a Boston qualifier and official results are sent to BAA. 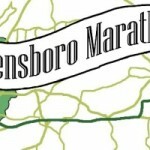 Team Relay: Marathon Team Relay consists of 5 legs of approximately 5-7 miles. Half-Marathon travels through the vibrant town of West Hartford, loaded with cheering spectators, into Elizabeth Park and then straight back to the finish line under the Arch. 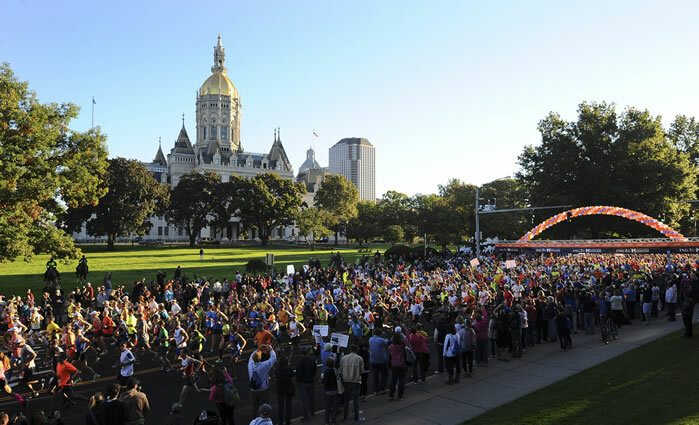 The 5K travels through Hartford’s vibrant neighborhoods, beginning and ending in Bushnell Park. All courses are USAT&F certified.